Create festive fruit salads and fun fruit garnishes! 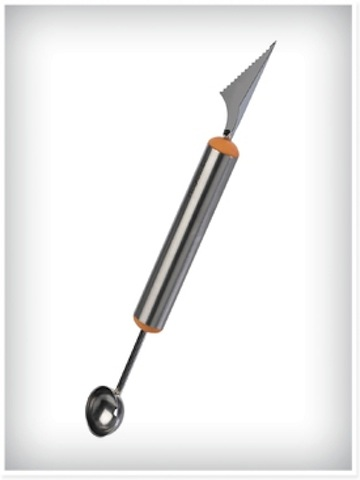 The Progressive Melon Baller features a 1Ó (2.5 cm) diameter scoop to create perfect melon balls. The other end of the Melon Baller has a v-shaped cutting tool for creating decorative zig-zag edges. Perfect for balling watermelon, cantaloupe and honeydew. Great for removing cores from apples and pears.